Using our extensive inventory of Driveshaft Components including CV Joints, Splined Slip Stubs, Slip Yokes, and other components. Aluminum driveshafts for pickup trucks, sports cars, vans, cars and sport utility vehicles. Rear steel driveshafts in single, two piece and three piece configurations for pickup trucks, vans, SUVs, sports cars, AWD cars. Steering shafts for popular imported and domestic cars, pickup trucks, vans and SUVs. Pat’s Driveline has replacement Automotive Driveshafts in stock in our 12 warehouses to get you back on the road quickly. We are always adding SKUs to our Automotive Driveshaft catalog as new models are introduced. This ensures our customers have the Automotive Driveshafts they need at one of our branches. Pat’s Driveline offers friendly consultation and a timely service that gets you back on the road affordably and efficiently. Pat’s Driveline boasts an impressive inventory at all of our branches to ensure our customers have access to the Automotive Driveshafts that are required to get vehicles back on the road quickly and efficiently. 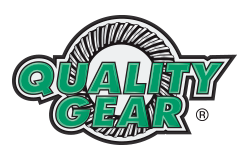 We stock the best quality brands such as Spicer, Pat’s Driveline, Powertrain Industries, OEMs, Neapco, Rockford Drive Line and Quality Gear.